Hash is an extracted cannabis product composed of compressed or purified preparations of stalked resin glands, called trichomes, from the plant. It is defined by the 1961 UN Single Convention on Narcotic Drugs (Schedule I and IV) as "the separated resin, whether crude or purified, obtained from the cannabis plant". The resin contains ingredients such as tetrahydrocannabinol (THC) and other cannabinoids—but often in higher concentrations than the unsifted or unprocessed cannabis flower. Purities of confiscated hashish in Europe (2011) range between 4-15%. Between 2000 and 2005 the percentage of hashish in cannabis end product seizures was at 18%. The first attestation of the term "hashish" is in a pamphlet published in Cairo in 1123 CE, accusing Nizari Muslims of being "hashish-eaters". The 13th century Ibn Taymiyyah prohibited the use of hashish; he mentioned that it was introduced to Levant with the Mongol invasion (throughout the 13th century). Smoking did not become common in the Old World until after the introduction of tobacco, so up until the 1500s hashish in the Muslim world was consumed as an edible. In 1596, Dutchman Jan Huyghen van Linschoten spent three pages on "Bangue" (bhang) in his historic work documenting his journeys in the East. He particularly mentioned the Egyptian hashish. 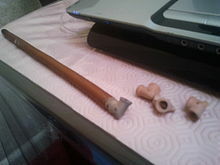 He said, "Bangue is likewise much used in Turkie and Egypt, and is made in three sorts, having also three names. The first by the Egyptians is called Assis (Hashish (Arab. )), which is the poulder of Hemp, or of Hemp leaves, which is water made in paste or dough, they would eat five peeces, (each) as big as a Chestnut (or larger); This is used by the common people, because it is of a small price, and it is no wonder, that such vertue proceedeth from the Hempe, for that according to Galens opinion, Hempe excessively filleth the head." Hashish arrived in Europe from the East during the 18th century, and is first mentioned scientifically by Gmelin in 1777. The Napoleonic campaigns introduced French troops to hashish in Egypt and the first description of usefulness stems from 1830 by pharmacist and botanist Theodor Friedrich Ludwig Nees von Esenbeck. In 1811, the founder of homoeopathy, Samuel Hahnemann, published a "proving" of the effects of Cannabis Sativa in his work Reine Arzneimittellehre (Materia Medica Pura). However, since the 2000s there has been a dramatic shift in the market due to an increase of homegrown cannabis production. While Morocco held a quasi-monopoly in the 1990s with the so-called 250g "soap bar" blocks, which were of low quality, Afghanistan has now been announced the biggest producer of higher quality hashish. Since then, the quality in Europe has increased while the prices have remained stable. According to the European Monitoring Centre for Drugs and Drug Addiction (EMCDDA), Western Europe is the biggest market for cannabis resin with 70% of global seizures. The European hashish market is changing though: Cannabis cultivation increased throughout the 1990s until 2004, with a noticeable decrease reported in 2005 according to the European Monitoring Centre for Drugs and Drug Addiction. Morocco has been the major source, however lately there has been a shift in the market and Afghanistan has been named the major producer of Hashish. Even though a drop in usage and production has been reported, Morocco produced around 6600 tonnes of resin in 2005. The 1990s "soap bars" disappeared and the physical shapes of hashish changed to melon shaped, tablets or olive shaped pellets. Overall the general trend of domestically grown cannabis displacing the imported resin leads to a market reaction of potency changes while the prices remain stable while soap-bar potency increased from 8% to up to 20.7% in 2014. Hashish is made from cannabinoid-rich glandular hairs known as trichomes, as well as varying amounts of cannabis flower and leaf fragments. The flowers of a mature female plant contain the most trichomes, though trichomes are also found on other parts of the plant. Certain strains of cannabis are cultivated specifically for their ability to produce large amounts of trichomes. The resin reservoirs of the trichomes, sometimes erroneously called pollen (vendors often use the euphemism "pollen catchers" to describe screened kief-grinders in order to skirt paraphernalia-selling laws), are separated from the plant through various methods. 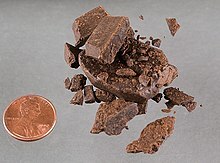 Hashish can be consumed by oral ingestion or smoking; typically in a pipe, bong, vaporizer or joints, where it is normally mixed with cannabis or tobacco, as pure hashish will burn poorly if burned alone. In some parts of Canada, individuals do what is known as "bottle tokes", in which they take a lit cigarette, stick a "bot"(small hashish ball) then let the smoke fill the bottle before inhalation. THC has a low water solubility therefore ingestion leads to poor absorption. Generally the methods are similar to overall cannabis consumption. As perceptual changes are very hard to measure, most studies on the altered state of consciousness concentrate on subjective descriptions only. The general awareness of proprioceptive responses seem to enhance, as emotional involvement is reported to enhance perception in general. Taste and smell seem intensified and visual scenes seem to have more depth while sounds are heard with more dimension. Perception of time is also reported to change: there is a general experience of time distortion where events take longer to occur and the subject is involved in internal fantasies with the impression that external time has slowed down. However, there seems to be no impression of speed or rapidity for internal processes. Similar effects are common in normal experience, for example when time slows down in boredom. It is proposed that this distortion is caused as the experience itself is the focus of attention rather than what is happening around the individual. Mechanical separation methods use physical action to remove the trichomes from the dried plant material, such as sieving through a screen by hand or in motorized tumblers. This technique is known as "drysifting". 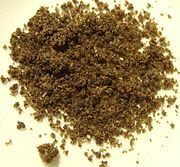 The resulting powder, referred to as "kief" or "drysift", is compressed with the aid of heat into blocks of hashish; if pure, the kief will become gooey and pliable. When a high level of pure THC is present, the end product will be almost transparent and will start to melt at the point of human contact. Chemical separation methods generally use a solvent such as ethanol, butane or hexane to dissolve the lipophilic desirable resin. Remaining plant materials are filtered out of the solution and sent to the compost. The solvent is then evaporated, or boiled off (purged) leaving behind the desirable resins, called honey oil, "hash oil", or just "oil". Honey oil still contains waxes and essential oils and can be further purified by vacuum distillation to yield "red oil". The product of chemical separations is more commonly referred to as "honey oil." This oil is not really hashish, as the latter name covers trichomes that are extracted by sieving. This leaves most of the glands intact. Morocco has been the major hashish producer globally with €10.8 billion earned with Moroccan resin in 2004. However, Chouvy (2016) suggests that some of the so- called "Moroccan" actually stems from local European production. The income for the farmers lay around €325 million in 2005. While the overall amount of plants and areas shrank in size, the introduction of more potent hybrid plant produced a high resin rate.The range or resin produced is estimated between 3800 and 9500 tonnes in 2005. The largest producer today is Afghanistan, however studies suggest there is a "hashish revival" in Morocco. Nup, charas, shish, kif and others. Street names often refer to the shape in which the hash is formed, such as a candy bar, soap bar, nine bar, finger, patties, or surfboard. The country of origin is also used as a description, for example black Afghan, blonde Lebanese, or Moroccan. ^ "Hashish". drugs.com. Retrieved 19 May 2017. ^ Jan Huygen van Linschoten (1885). The Voyage of John Huyghen Van Linschoten to the East Indies: From the Old English Translation of 1598. The First Book, Containing His Description of the East... Hakluyt society. pp. 116–. ^ a b c d Chouvy, Pierre-Arnaud. "The supply of hashish to Europe" (PDF). Background paper commissioned by the EMCDDA for the 2016 EU Drug Markets Report. ^ a b c "Cannabis drug profile". emcdda.europa.eu. Retrieved 19 May 2017. ^ Gloss, D (October 2015). "An Overview of Products and Bias in Research". Neurotherapeutics (Review). 12 (4): 731–4. doi:10.1007/s13311-015-0370-x. PMC 4604179. PMID 26202343. ^ Tashkin, DP (2013). "Effects of marijuana smoking on the lung". Annals of the American Thoracic Society. 10 (3): 239–247. doi:10.1513/AnnalsATS.201212-127FR. PMID 23802821. ^ Crean, R.D. ; Crane, N.A. (2011). "An evidence based review of acute and long-term effects of cannabis use on executive cognitive functions". Journal of Addiction Medicine. 5 (1): 1–8. doi:10.1097/ADM.0b013e31820c23fa. PMC 3037578. PMID 21321675. ^ a b Johns, Andrew (2001). "Psychiatric effects of cannabis" (PDF). British Journal of Psychiatry. 178 (2): 116–122. doi:10.1192/bjp.178.2.116. ^ Khan, Masood A; Akella, Sailaja (2009). "Cannabis-Induced Bipolar Disorder with Psychotic Features". Psychiatry (Edgmont). 6 (12): 44–48. PMC 2811144. PMID 20104292. ^ a b Scammel and, Liza; Bianca Sind. "How to Make Wicked hash/Bubble hash". Cannabis Culture Magazine. Archived from the original on 28 June 2011. Retrieved 22 June 2011. ^ Brady, P. (February 4, 2003). "Bubble Hash". Cannabis Culture Magazine. Archived from the original on 12 June 2011. Retrieved 22 June 2011. ^ "UN: Afghanistan world leading hashish producer". PressTV. March 31, 2010. Archived from the original on May 30, 2013. Retrieved February 1, 2013. ^ "UN: Afghanistan is leading hashish producer". Fox News. 2010-03-31. ^ Chouvy, Pierre Arnaud; Afsahi, Kenza (2014). "Hashish Revival in Morocco". International Journal of Drug Policy. 25 (3): 416–423. doi:10.1016/j.drugpo.2014.01.001. ISSN 0955-3959. ^ "Hash / Hashish Information". narconon.org. Retrieved 19 May 2017. Starks, Michael. Marijuana Potency. Berkeley, California: And/Or Press, 1977. Chapter 6 "Extraction of THC and Preparation of Hash Oil" pp. 111–122. ISBN 0-915904-27-6. 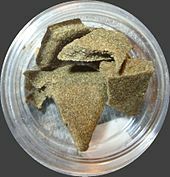 Look up hashish in Wiktionary, the free dictionary. Wikisource has the text of the 1905 New International Encyclopedia article Hashish. Wikimedia Commons has media related to Hashish.